Home / music / naijabase / GOSPEL EVENT: RCCG Apapa Family Presents Excel 2018. 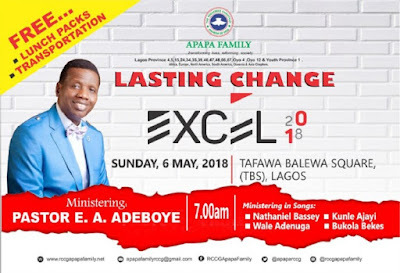 GOSPEL EVENT: RCCG Apapa Family Presents Excel 2018. The Redeemed Christian Church (RCCG) of God, Region 20 Apapa Family presents her annual conventionExcel2018. 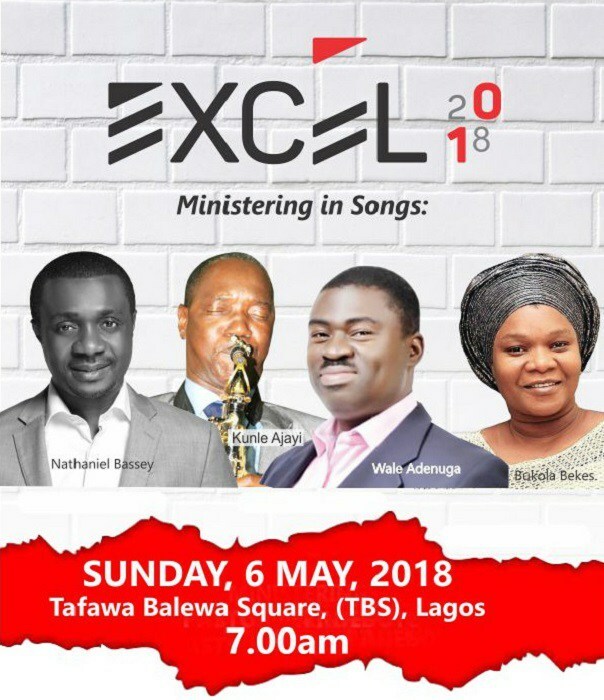 One of the purposes of the event is to gather people from all spheres of life to worship and praise the God who has made us Excel in life. House 4B, Prince AlabaOniru Way, Victoria Island, Lagos.